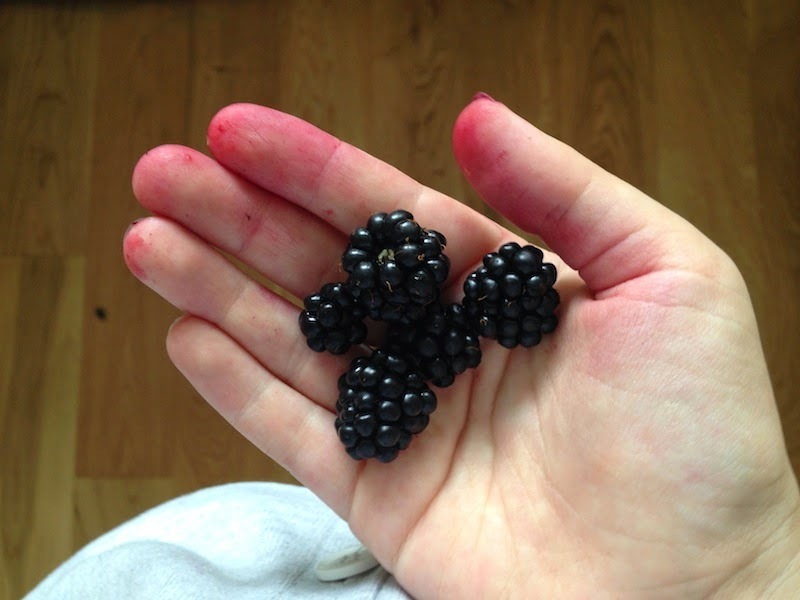 My neighbour invited me blackberry picking with him and promised me a large haul. I was slightly sceptical that we'd get that many, it being a few weeks after blackberry season was at it's peak, so thought we'd get a few, but that the majority would have already been foraged. "Ah, but this is somewhere that no one knows about" I was told. So I donned my wax jacket and Dubarry boots (thorns are not fun) and we scaled mountains and rivers…bears and scorpions to find this foraging paradise. I got a little too obsessed with the alpine strawberries…"Look, I'm a giant"…and most didn't make it into the bowl. When I got home the boys eyes were like saucers in amazement with the sheer number we'd picked, and pretty soon their chins were stained red with berry juice and they were very happy little boys.